Around the world, children are dragging their feet and parents are smiling as the first day of school approaches. It’s always hard to start a new school year after a summer of leisure, and many cultures have special first day of school traditions to help ease the transition. Here are a few. In Germany, lucky children receive a schuletuete, which translates to “school bag.” But this is no backpack! 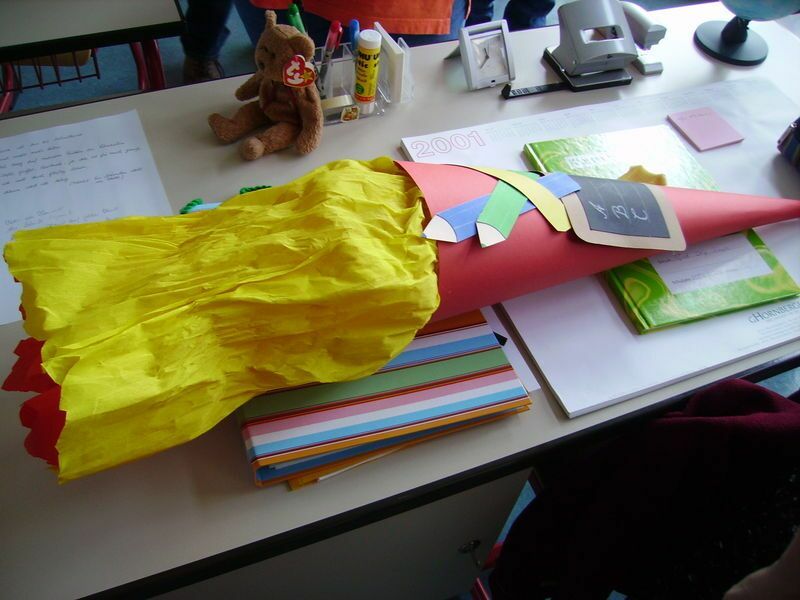 Schultuetes are cone-shaped packages filled to the brim with school supplies and candy, to make the school year sweet! These can be purchased from stores in August and September, but many parents make them at home. In India, kids also get special gifts on the first day of school, or praveshanotshavan, Admission Day, as it’s called there. Because the first day of school coincides with the beginning of monsoon season, the gifts often include a brand new umbrella. 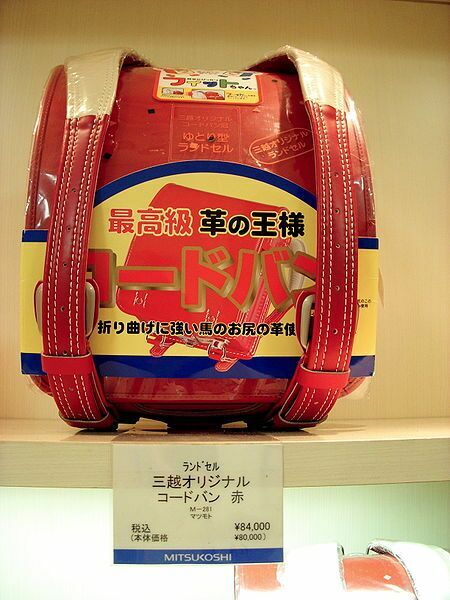 In Japan, on the first day of elementary school, kids receive a randoseru or backpack. These hard-sided bags are sturdier than their American counterparts and are often handed down from family members. In the past, girls carried red and boys black-colored packs, but now a variety of styles and colors can be found. In Russia, the first day of school is called Knowledge and Skills Day and this means formal attire and special ceremonies at the school. Kids often bring a flower bouquet for the teacher, and receive a balloon in return. Kazakhstan has a similar tradition to Russia, except that students each bring a single flower for the teacher on the first day of school. 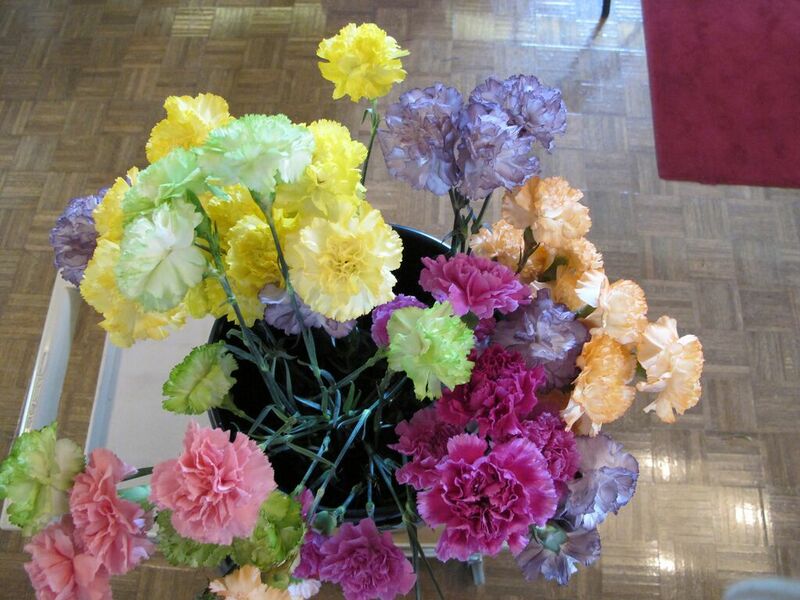 The teacher then gathers all the flowers together to make a bouquet. Kids also get a present from their parents containing sweets, a pencil and a candle. Italian kids go shopping for a new “work smock” or grembiule which is worn by children over their clothes in primary school. In kindergarten, boys wear blue-and-white checked smock and girls, pink-and-red checked. 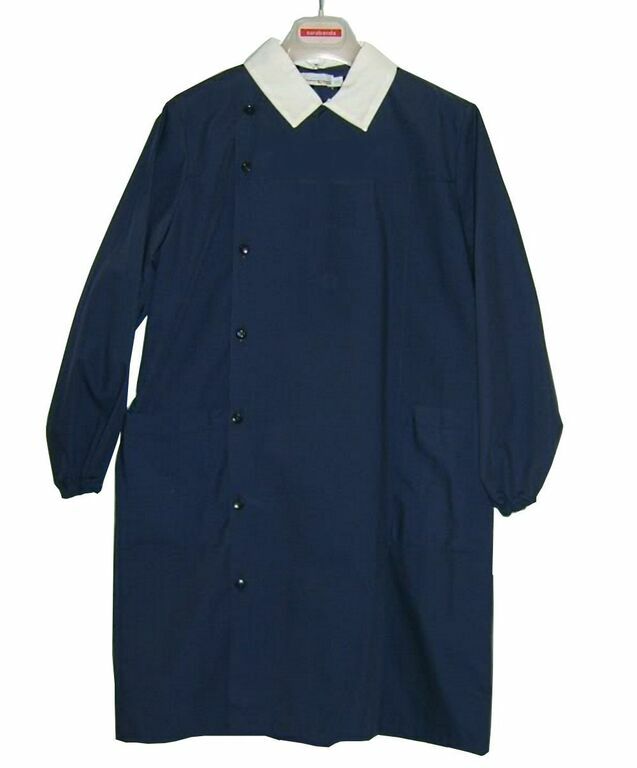 After first grade the smocks are a deep blue color. These can be purchased in stores and even personalized. 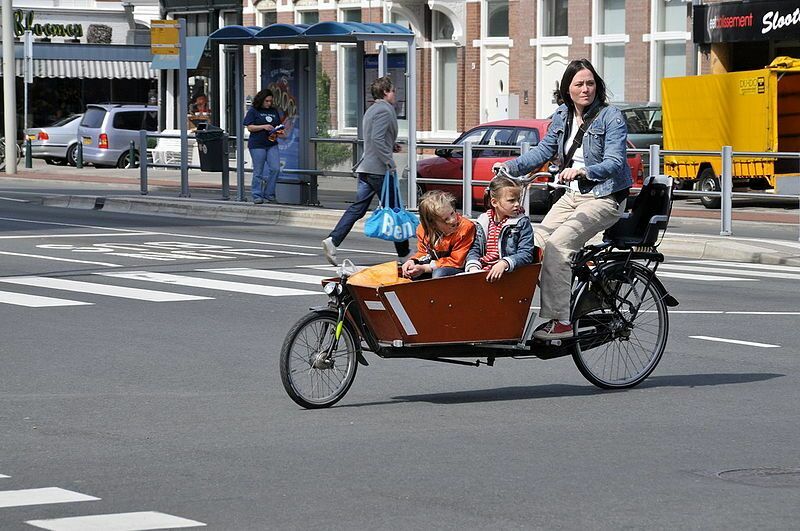 In Holland, bakfietsen or cargo bikes are often used as an eco-friendly way to transport kiddos, and the first day of school is no exception. A cargo bike consists of a box or cart with wheels attached to the front of an adult bike. What a fun way to ride to school! Even before Pinterest, America had it’s own first day of school traditions. 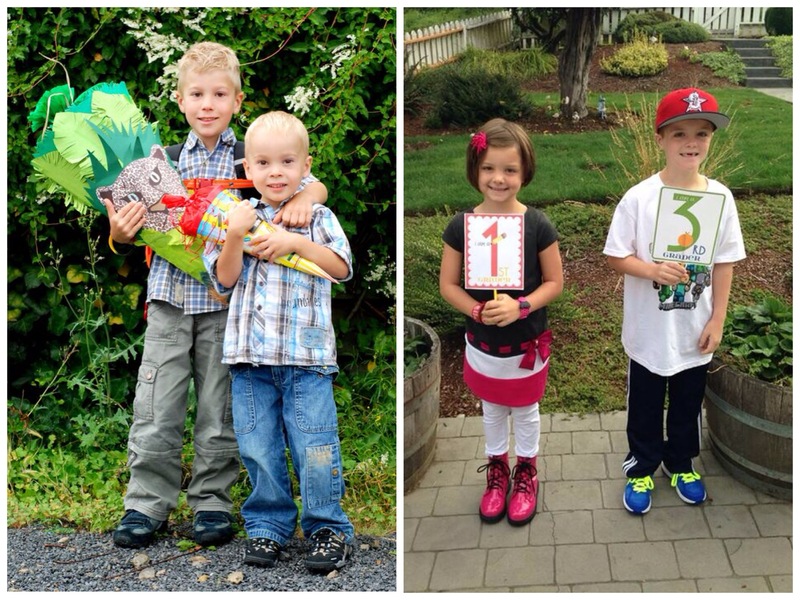 Most kids wear a new, first day of school outfit and pose for a picture, sometimes holding a sign which has the grade they are entering written on it.